The biOrb Shipwreck ornament is a highly detailed aquatic ornament that features stunning textures and amazingly realistic characteristics. 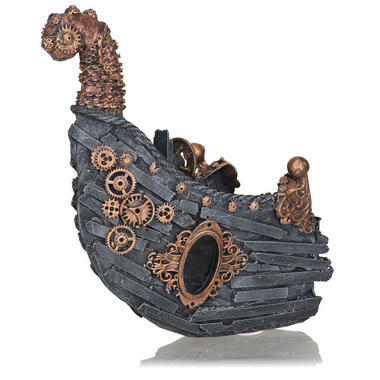 With its large footprint and extravagant appearance, the biOrb Shipwreck decoration will make a stand out addition to your pirate or steampunk themed Aquarium. Made out of strong and durable resin, the biOrb Shipwreck is perfect for all aquarium types and is perfectly safe to use in any aquatic setup.